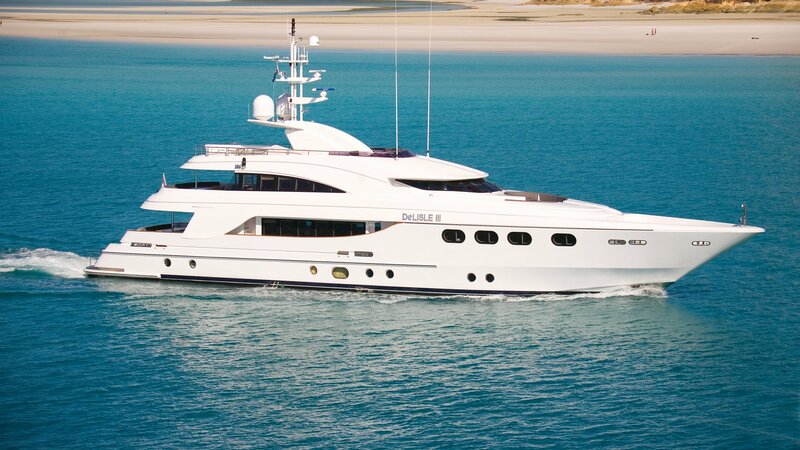 Built by Gulf Craft in 2008, 40m/131ft superyacht DE LISLE III (ex.MAJESTY 121 #21) was last refitted in 2014 and features the engineering and exterior styling of Mulder Design, while Sam Sorgiovanni was responsible for her beautiful modern interiors. 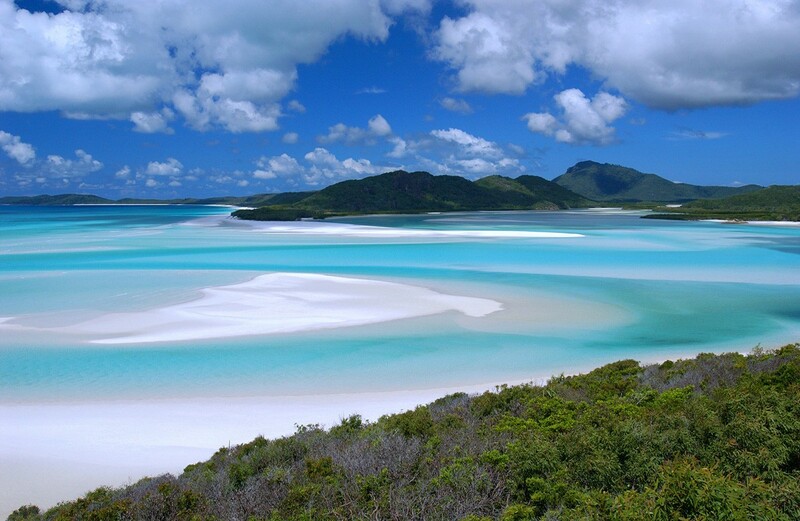 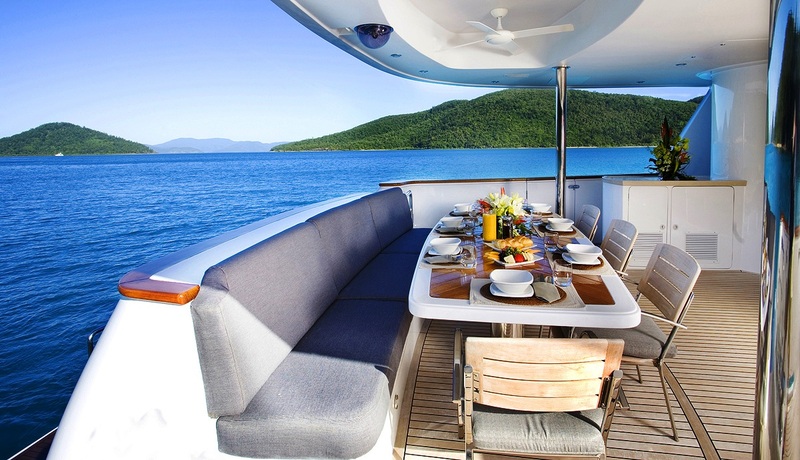 With accommodation for up to 9 guests, she is ideal for luxury escapes with family and friends. 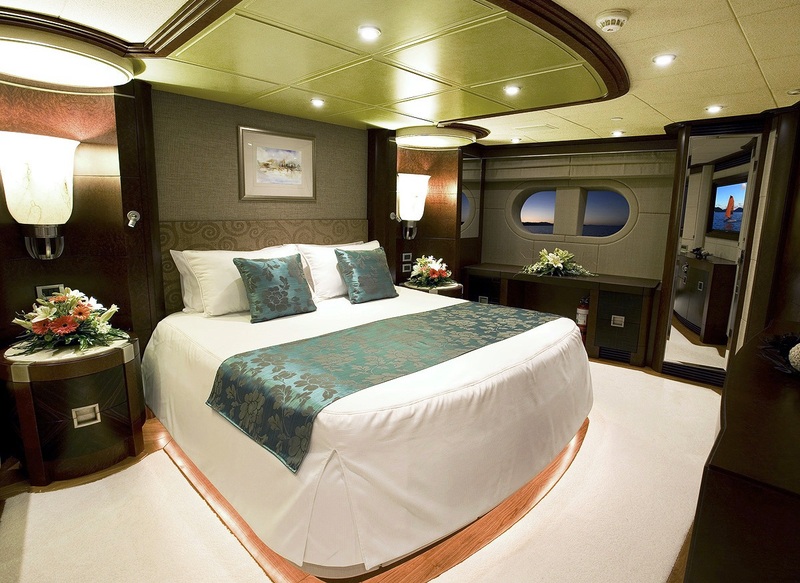 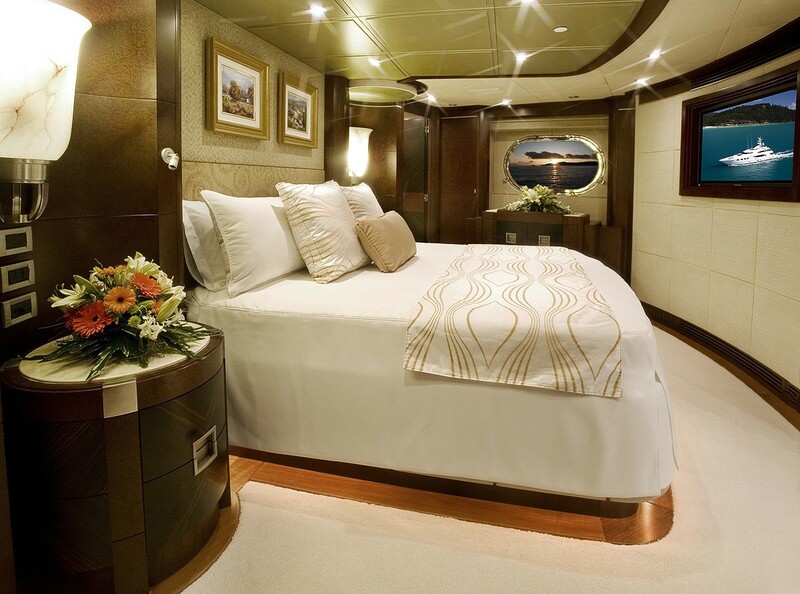 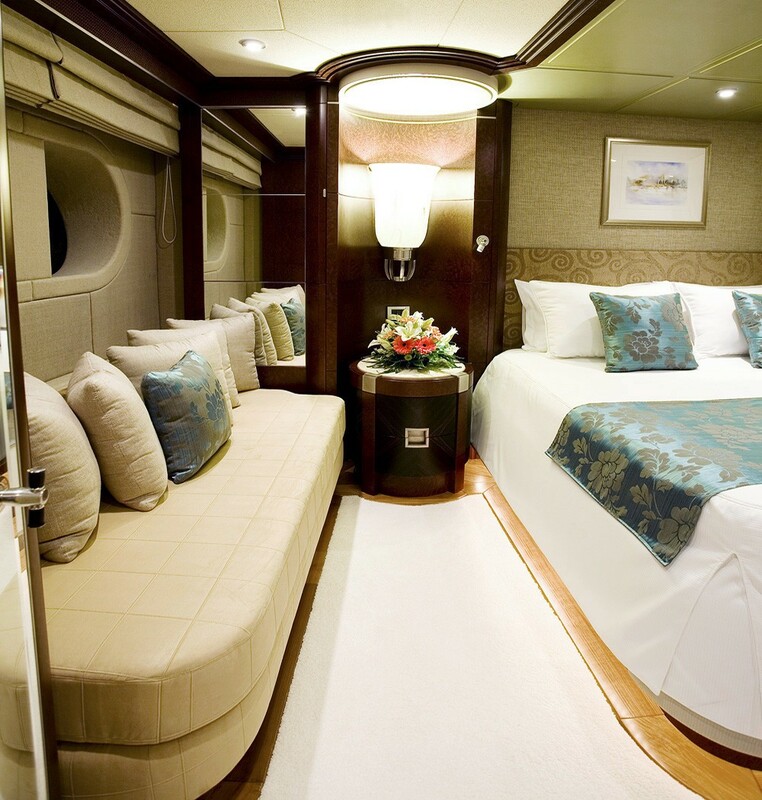 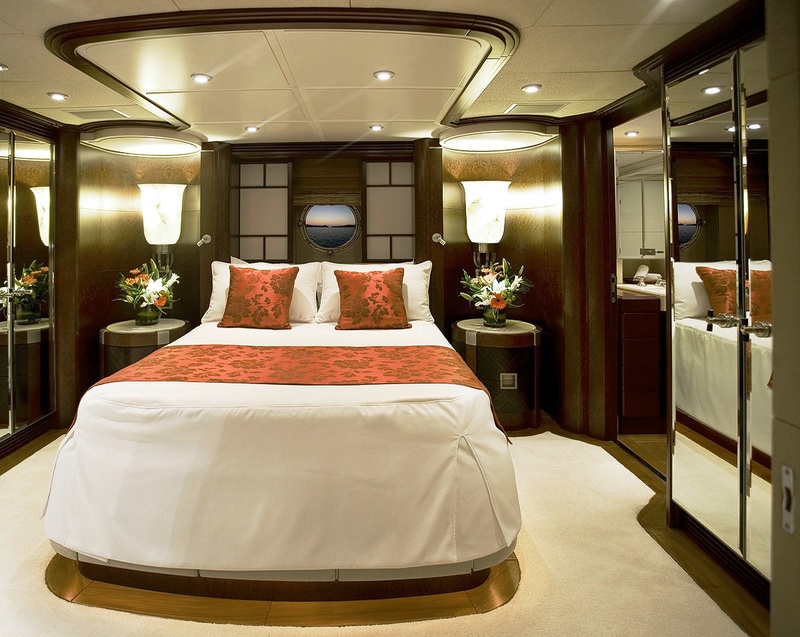 The lower deck is the location of most of the on board accommodation, including three of the guest suites, the engine room and the crew accommodation. 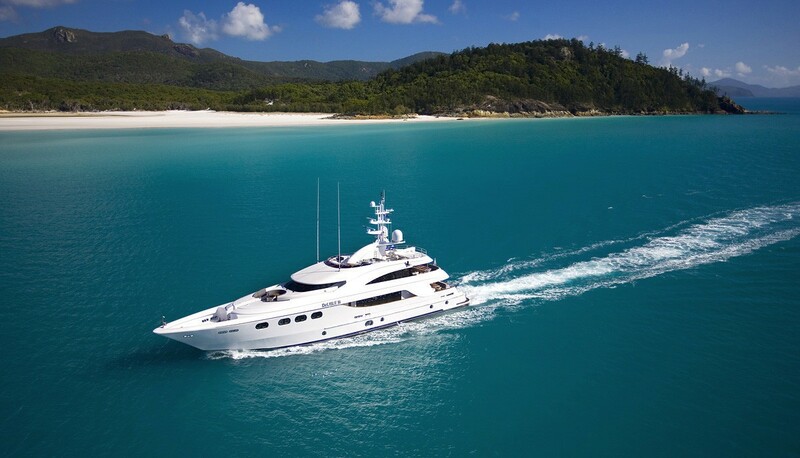 Towards the stern, the tender garage is filled with an excellent collection of water toys. 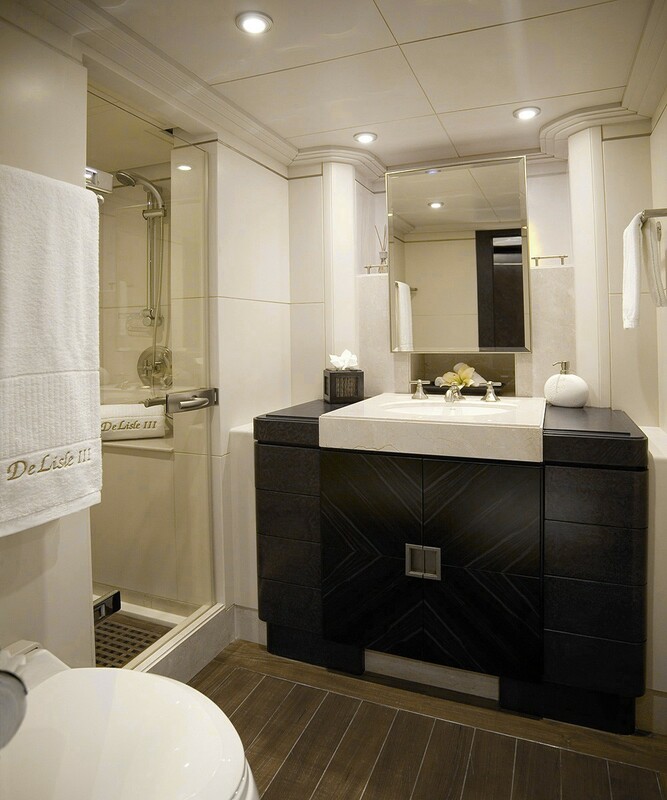 On the main deck the forward section contains the VIP stateroom complete with an en-suite bathroom and a Pullman berth that can instead be used as an additional sofa. 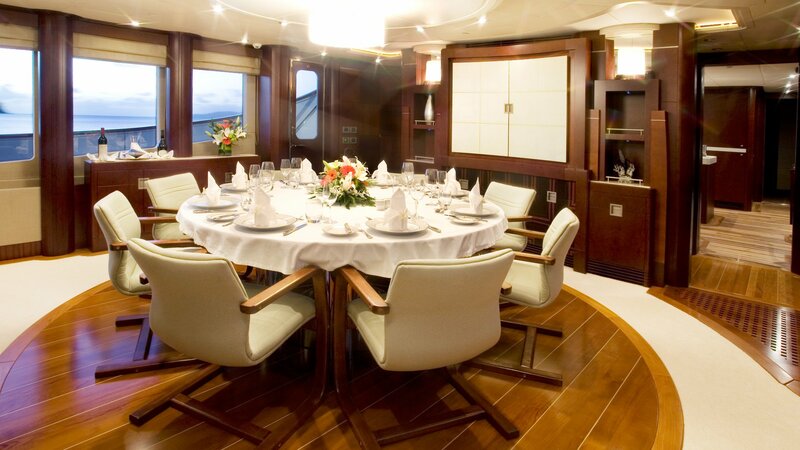 After the crew mess and galley, there is a spacious open plan main salon and formal dining area with timeless elegance using dark wooden panelling offset by cream coloured furnishings and large windows. 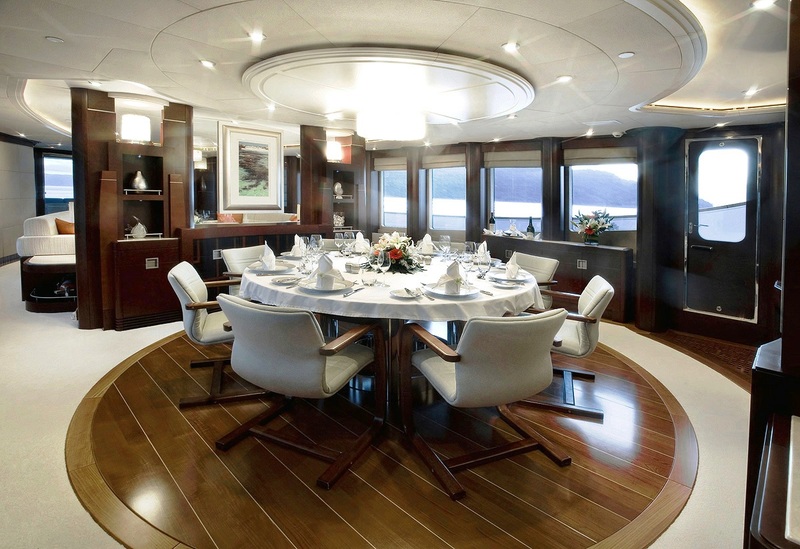 The forward formal dining area seats up to 8 guests around a circular table, where the guests and the conversation are the main focus. 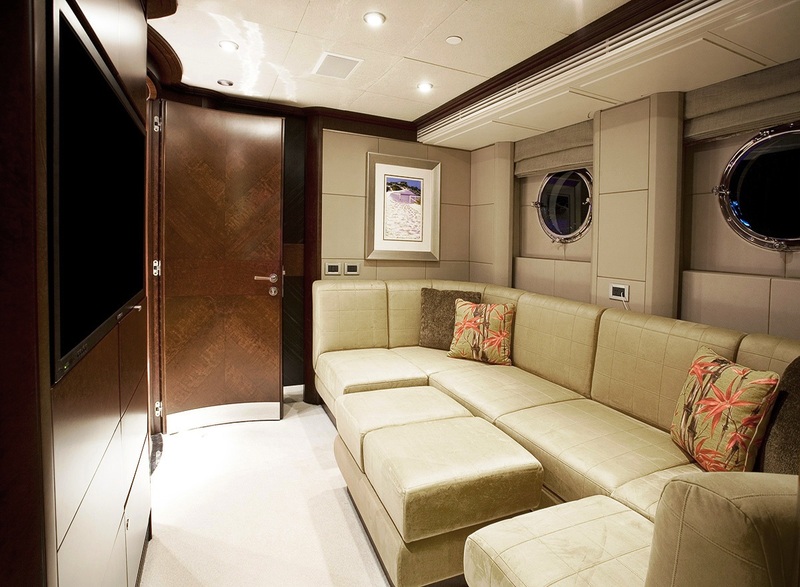 A partition with artwork separated the formal dining area and the aft main salon, which uses an unusual 'open triangle' format to create a social space for guests using three sumptuous sofas around a coffee table. 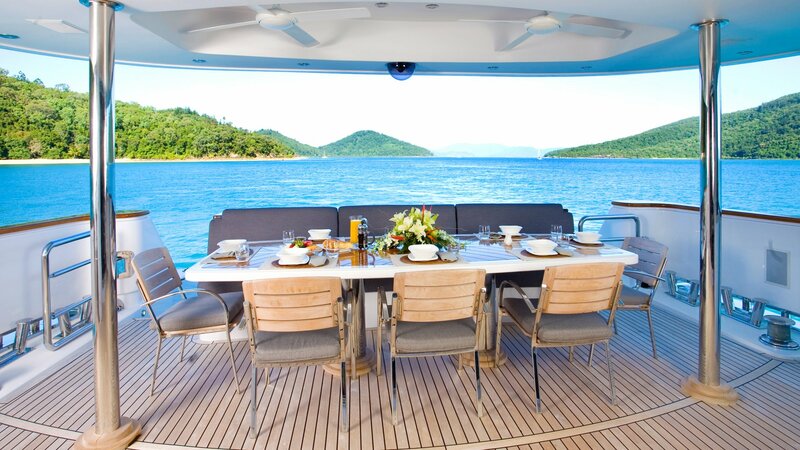 Outside, the main deck is fitted with stern seating and a large table, to be used as an outdoor lounge, a waiting area or as a place to informally dine alfresco. 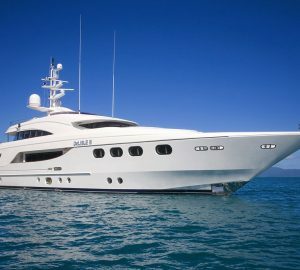 Two staircases connect to the lower swim platform and the tender garage, where the water toys are stored. 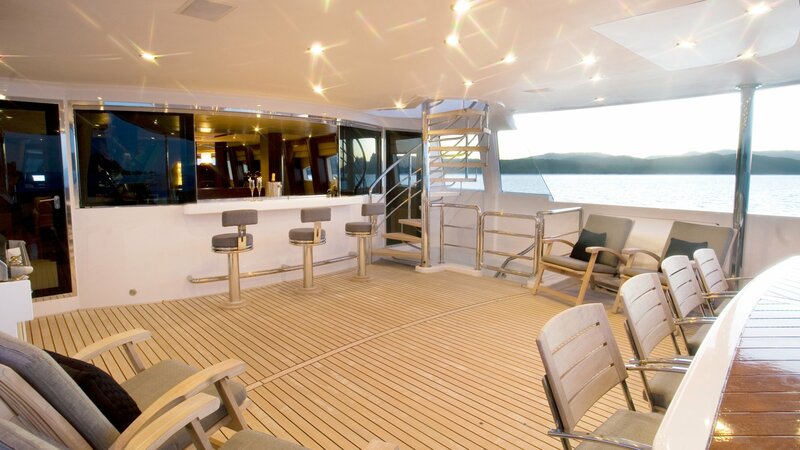 The upper deck continues the main deck colour scheme with dark wooden panelling, cream furnishings and plenty of lighting in the ceiling and along the walls for ambient evenings in the skylounge. 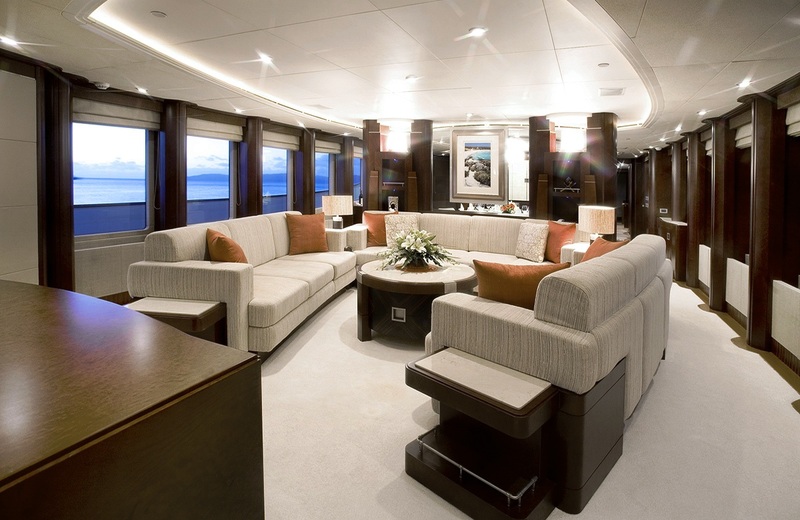 A forward curved sofa and a coffee table look aft, where a partitioning wall containing a widescreen television hides the bar from sight. 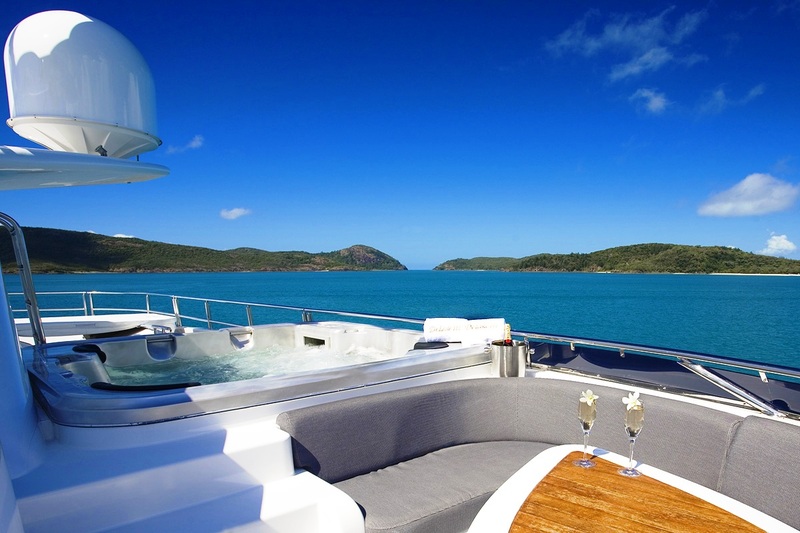 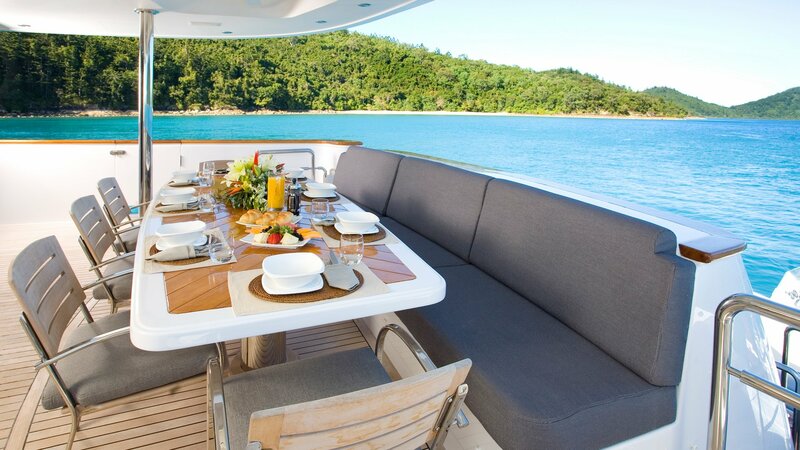 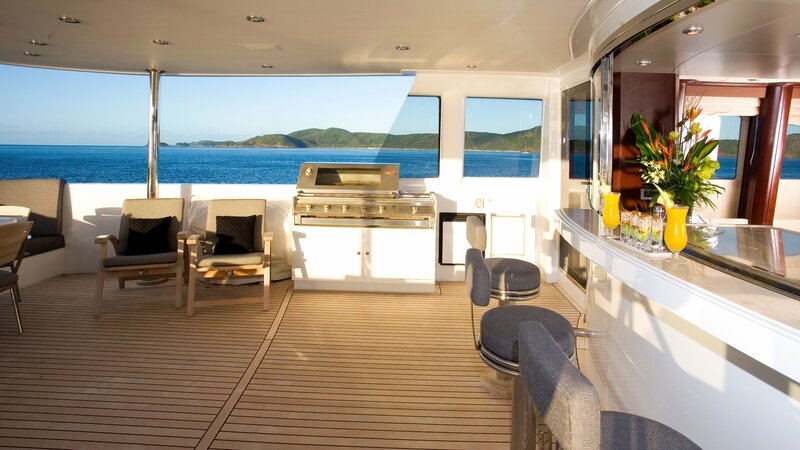 The aft wet bar also uses a hatch to serve drinks to guests sitting out on the bar stools or dining alfresco in the stern seating where guests have excellent views to the port, starboard and stern while under the shade. 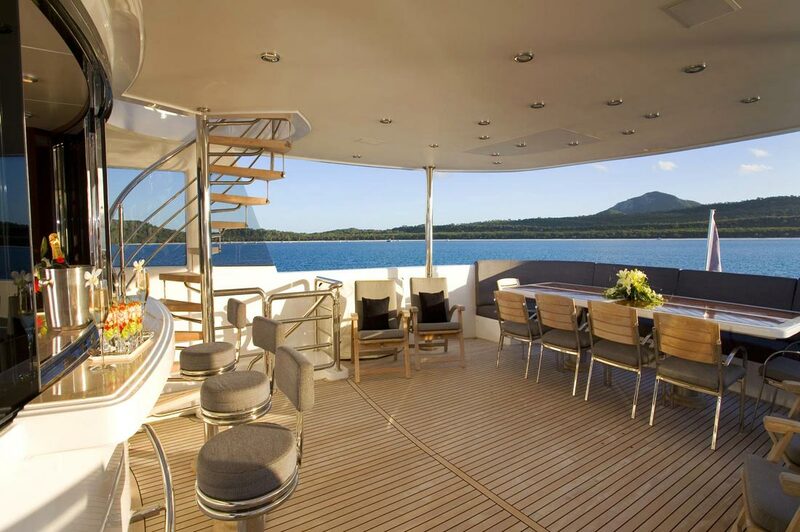 The upper deck also connects to the bow where the Portuguese deck provides another exposed spot for guest relaxation outdoors. 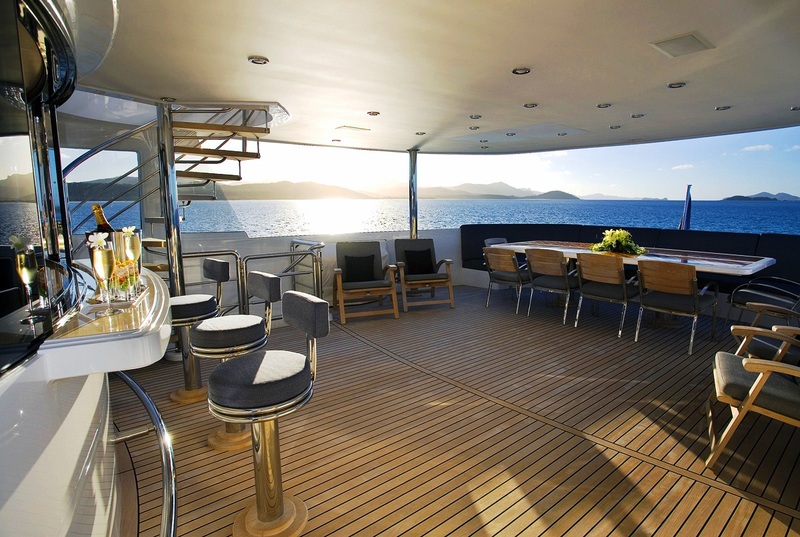 The sundeck is divided between tender storage and guest relaxation facilities, providing an integrated forward lounge with sweeping views where guests can dine alfresco. 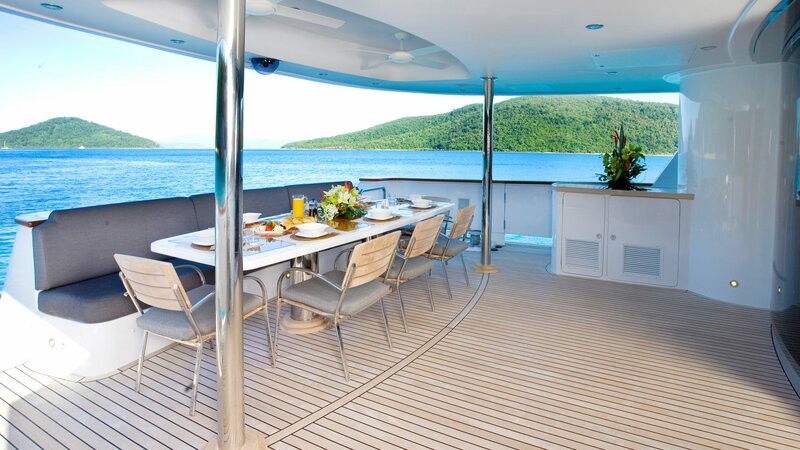 Centre of the sundeck on the port side, there is also a large Jacuzzi, with uninterrupted views to the port side and a communications mast starboard that adds to guest privacy. 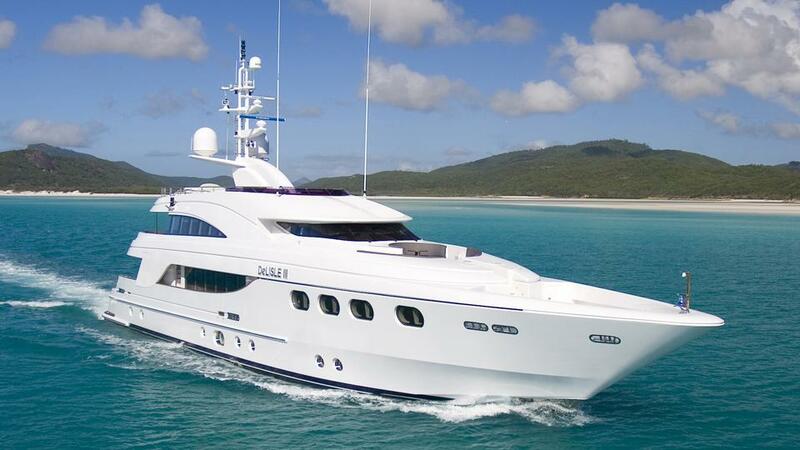 Using a pair of 16V 2000 M91 diesel engines, she is capable of a cruising speed of 18 knots and a top speed of 20 knots. 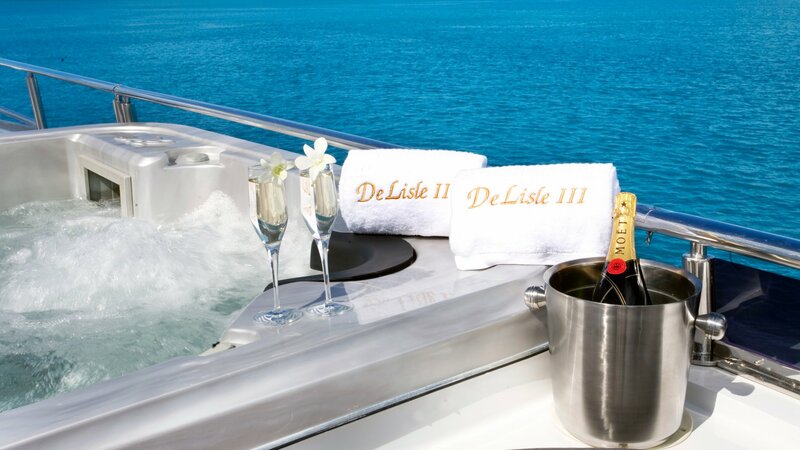 With a draft of only 2m/6.5ft, luxury yacht DE LISLE III is designed for approaching closer to the shoreline and making use of shallower anchorages. 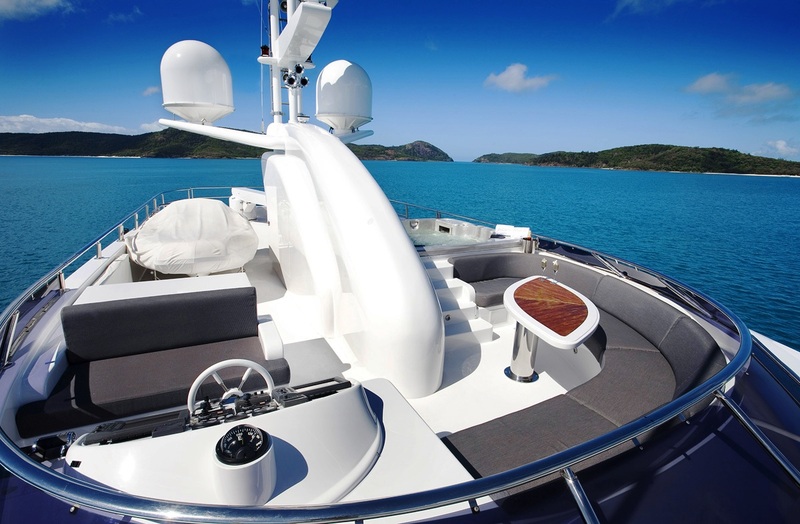 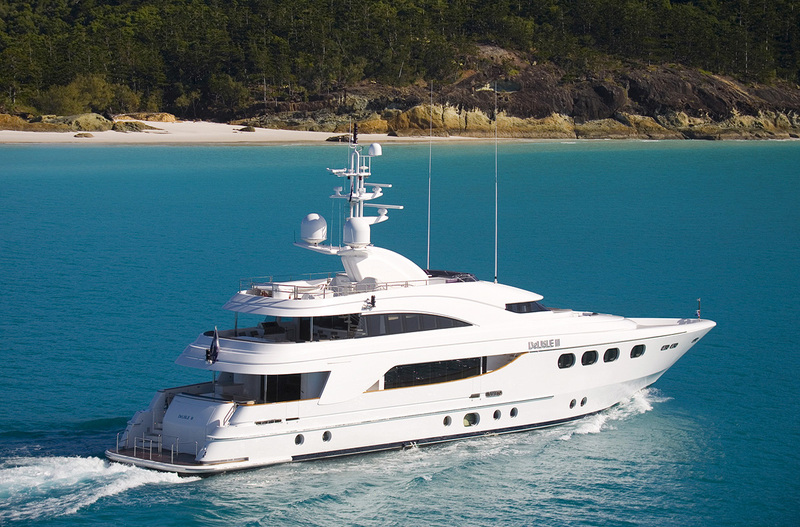 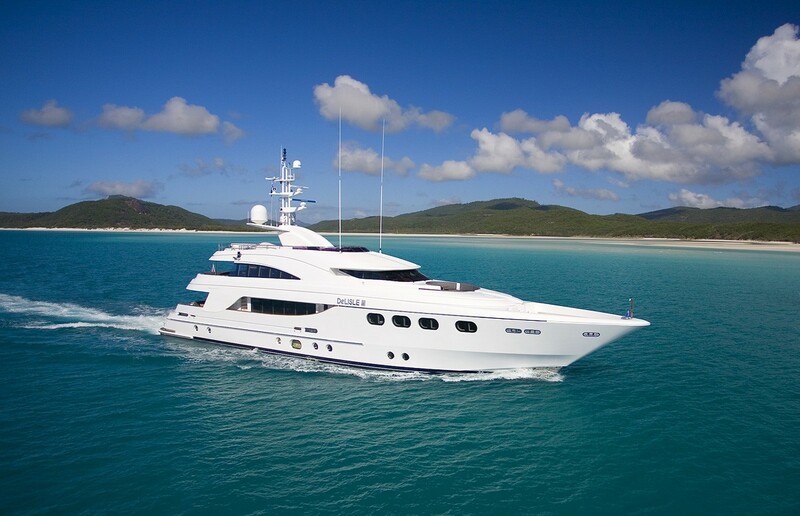 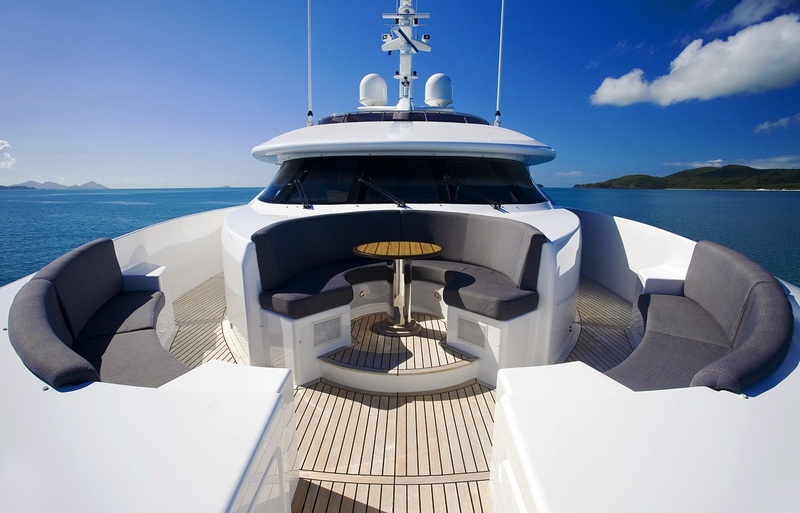 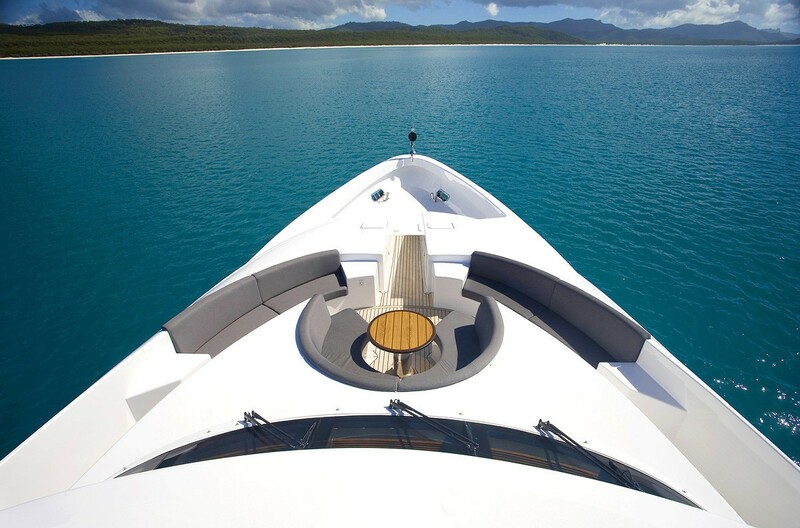 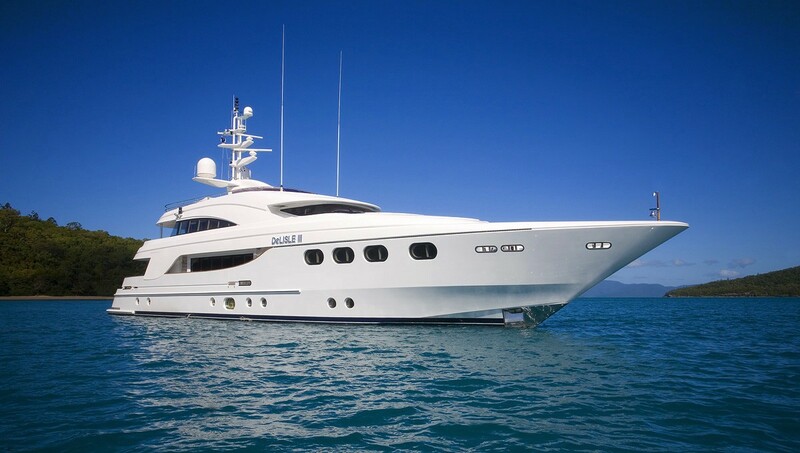 Luxury Motor Yacht DE LISLE III is designed for maximum space and ultimate comfort for 11 guests. 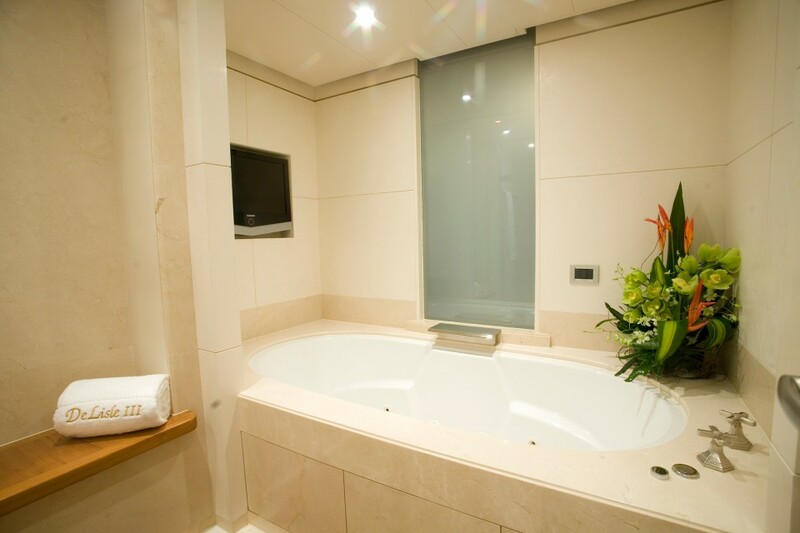 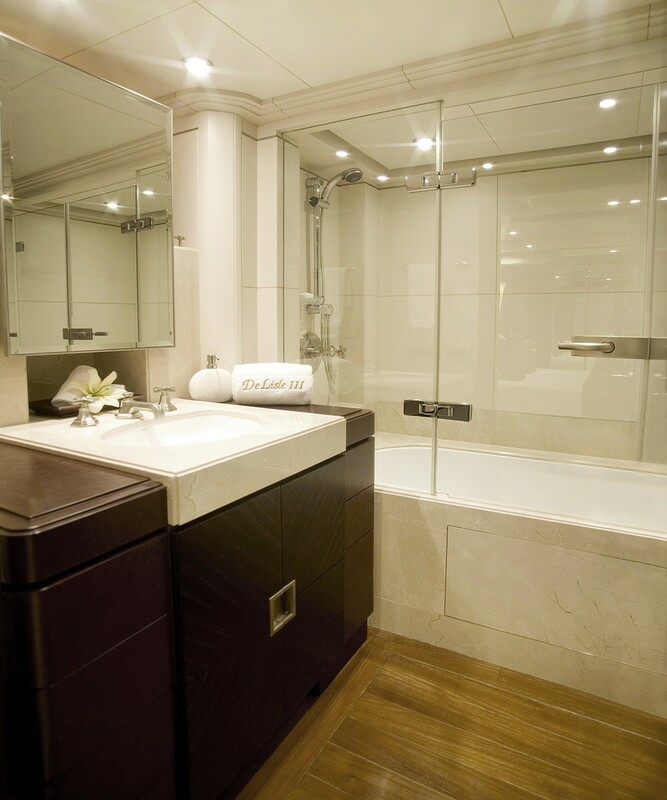 The owner’s suite comprises of a king size bed, large ensuite with bath and a private salon. 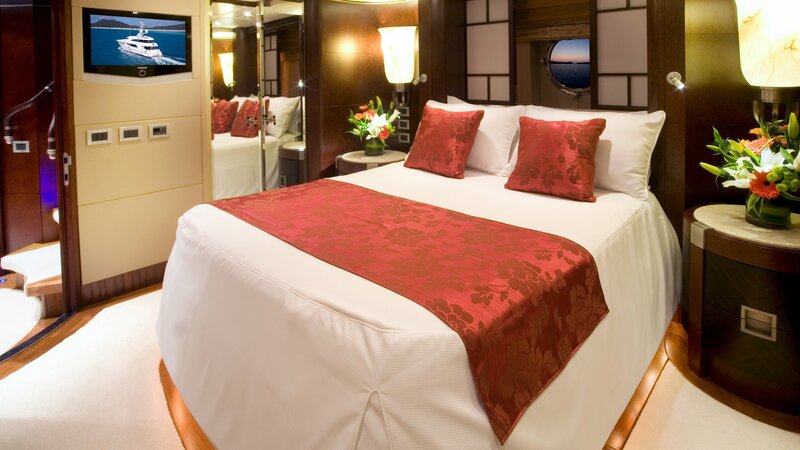 There is an additional double if required which is convertible from adjoining theatre lounge of Master Stateroom and shares an ensuite with the Twin Stateroom. 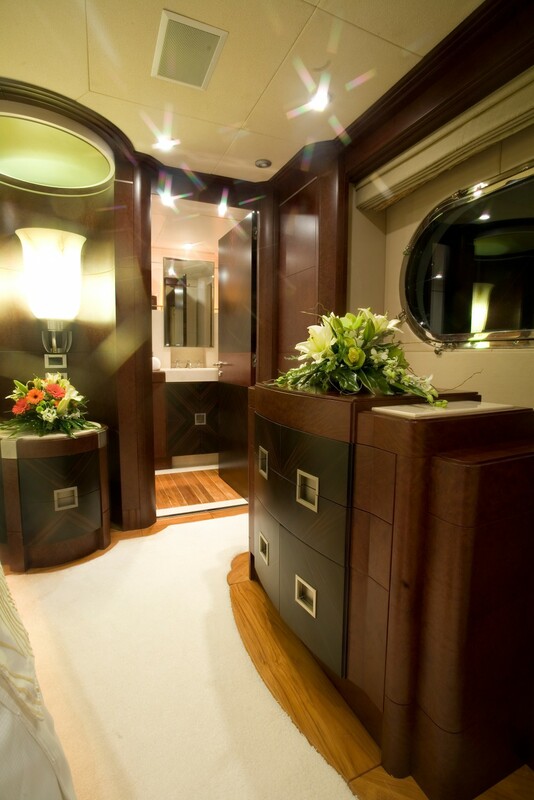 The VIP suite is almost as luxurious as the master with similar space and comfort including full width, private ensuite and bath and a private lounge. 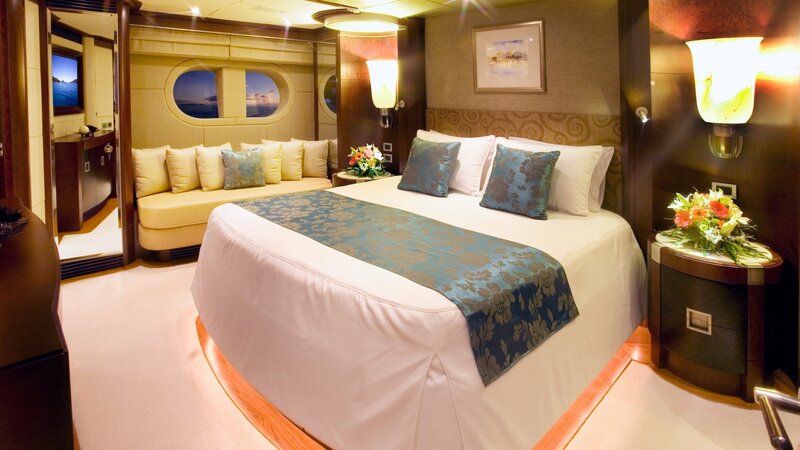 The VIP suite also has an additional single berth that doubles as a lounge. 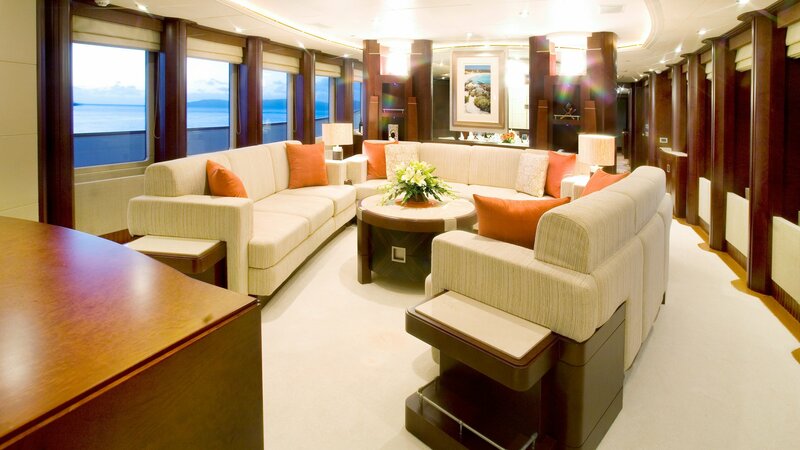 The VIP Suite is located on the main deck level and whereas the master and the remaining cabins are on the lower deck level. 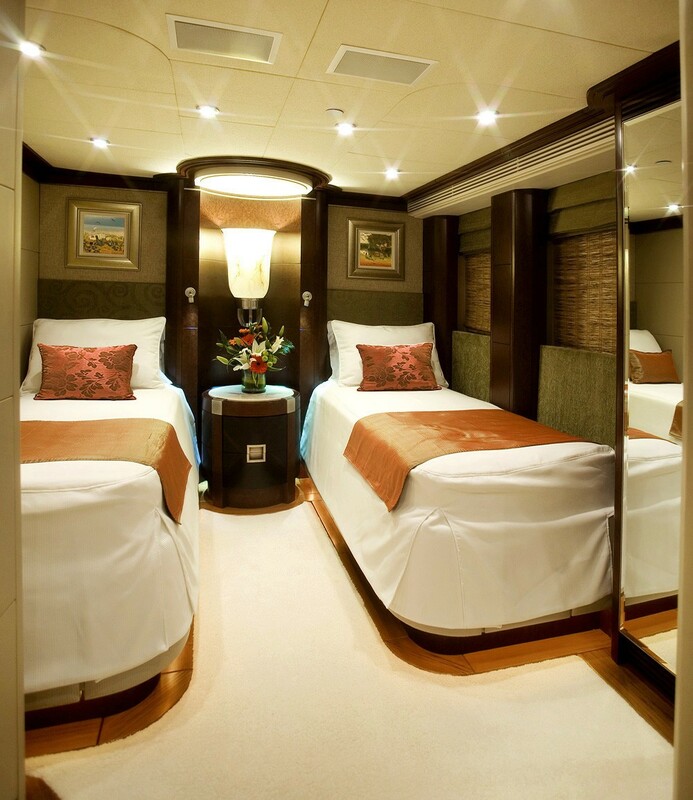 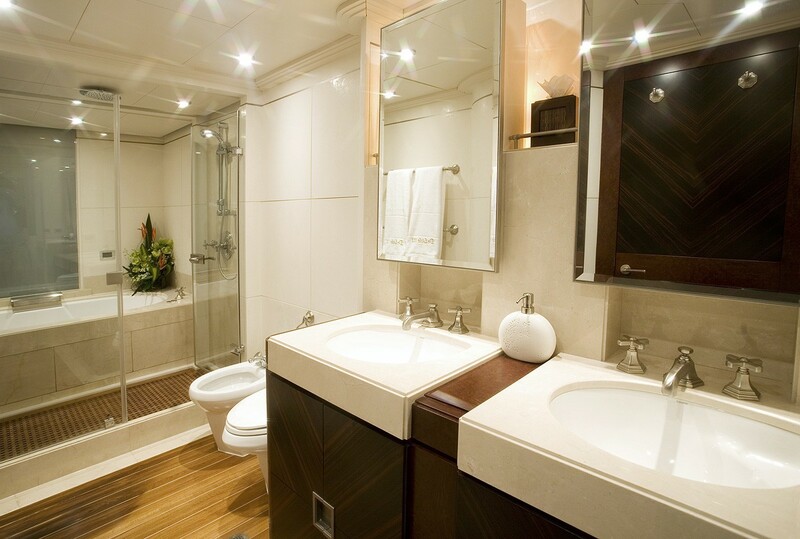 Both the double and the twin cabin are also equipped with private ensuites and the comforts expected in luxury cruising. 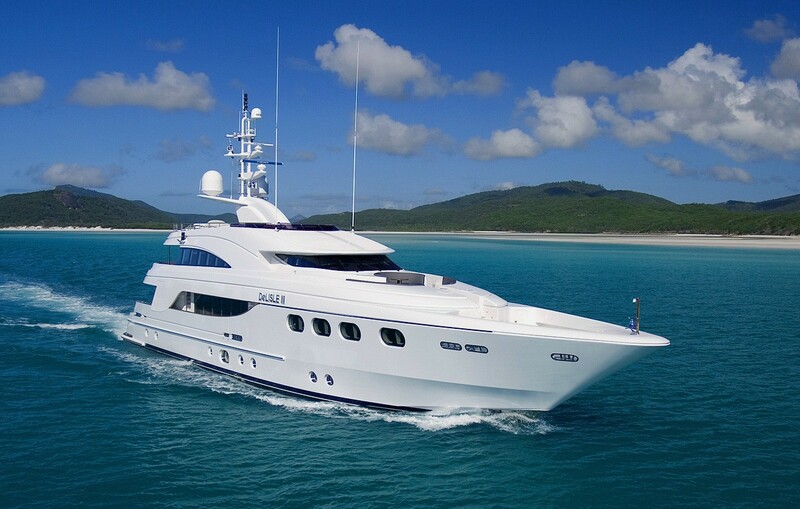 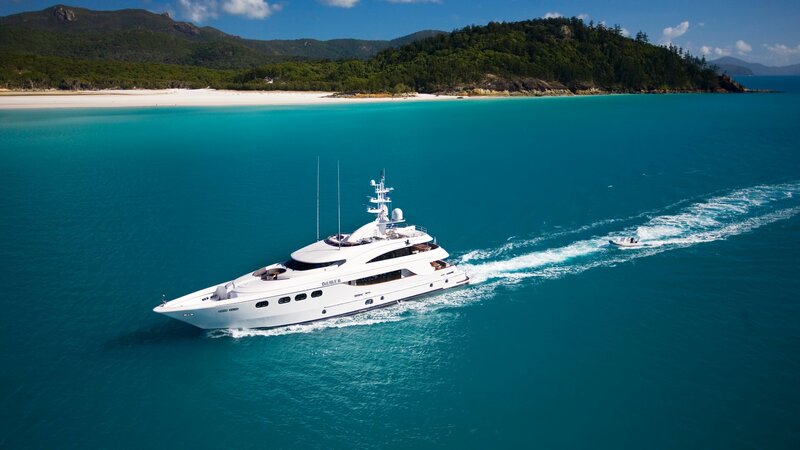 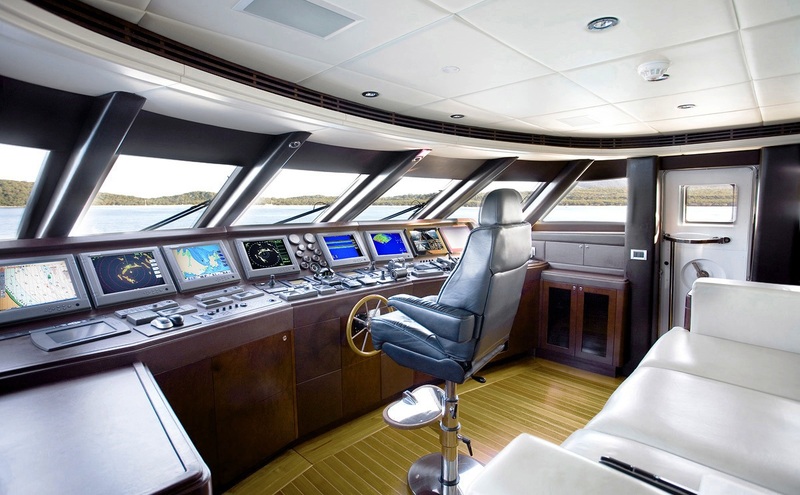 Luxury Charter and Motor Yacht DE LISLE III is equipped with state-of-the-art navigation instruments and advanced monitoring systems plus a range of entertainment and communication facilities including a large tender and outboard, waterskis and kneeboards, snorkeling and light fishing equipment. 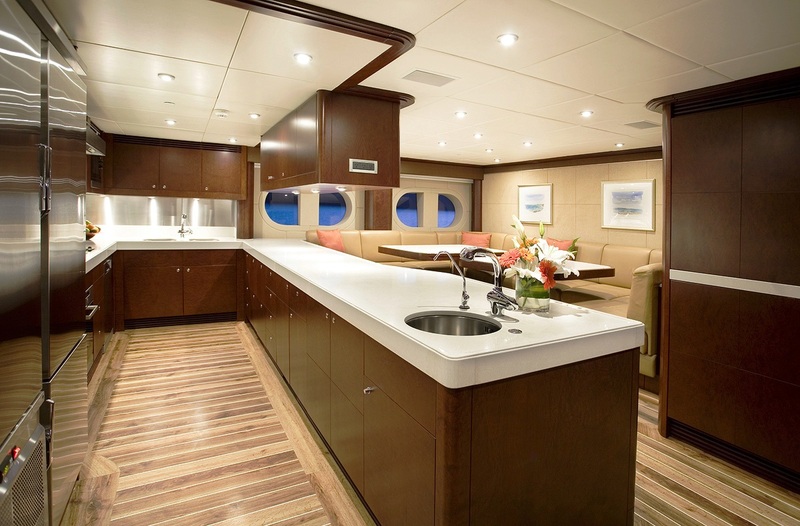 There is also a large swimming platform and shower. 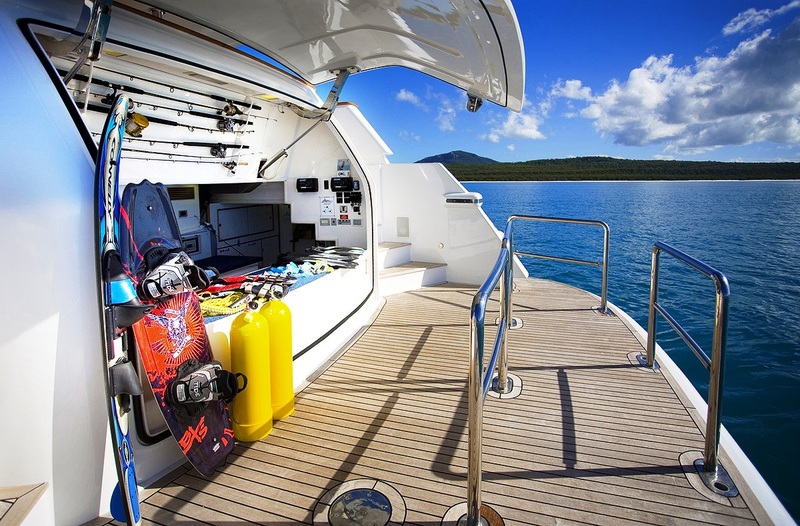 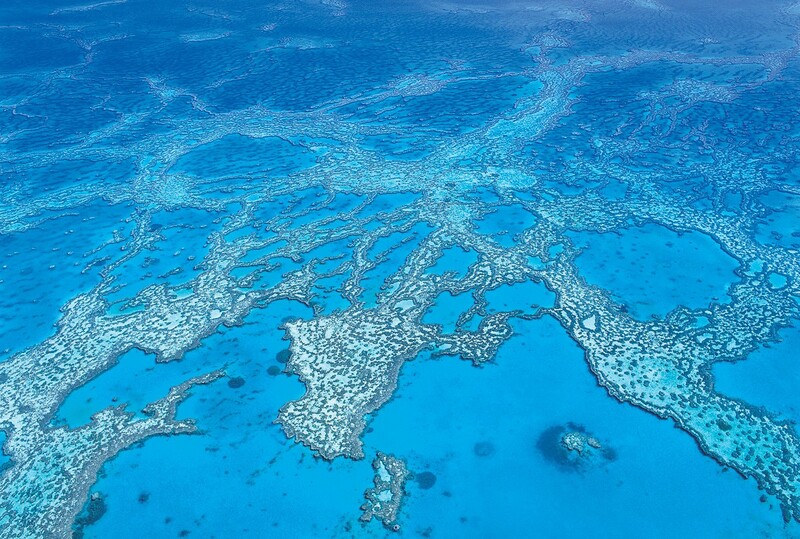 Rendezvous diving can be arranged from DE LISLE III through a local expert dive operator. 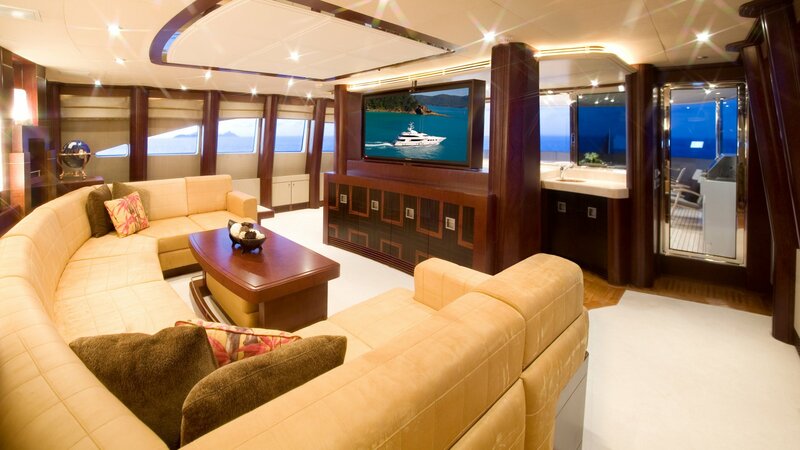 Entertainment facilities include top-of-the-range audio and video equipment with plasma screens.